The Star Tribune has a cool story about Minneapolis resident and Iraqi War veteran, Gwen Beberg, bringing home a puppy she befriended while serving in Iraq. Beberg says “she couldn’t have made it through her 13-month deployment without the affectionate mutt”. 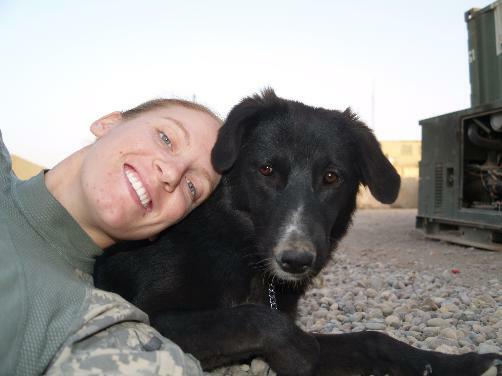 This entry was posted in Minnesota Life and tagged Iraqi Veterans, Pet Adoption. Bookmark the permalink.